The reviews for Holler If You Hear Me are in, and unfortunately the critics don’t think anyone will holler for this new jukebox musical based on songs of the late rapper Tupac Shakur. The critics almost universally recognize the power of Tupac’s lyrics and the strength of the song performances, but they can’t get past the poor story and over-emphasized presentation. Recent Tony-winning director Kenny Leon leads the charge and seemingly isn’t confident that the public can pick up on the themes of the story. 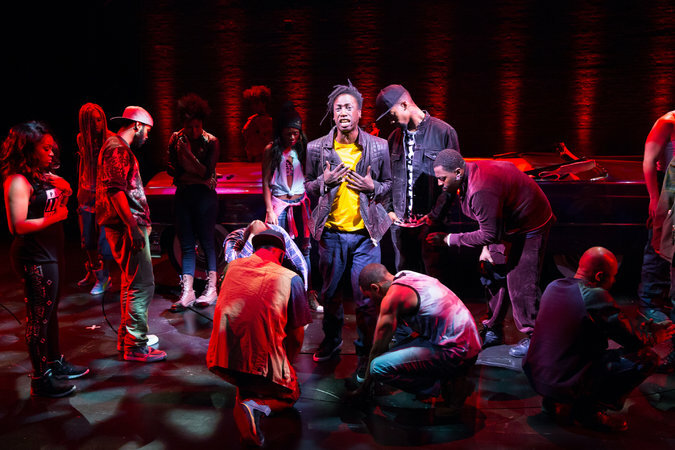 The result is an “overwrought” and “well-intentioned but toothless” musical about life on the streets, violence, hard knocks, and second chances. Critics believe that it may leave fans of Tupac unsatisfied and fans of Broadway wondering “…why?”. It’s true that Broadway is due for a hip-hop musical that will set the industry ablaze, but unfortunately Holler If You Hear Me doesn’t seem to be the one. Usually the critics and I don’t agree, but this show always sounded shaky to me for some reason.